Summer in Pittwater - Let's Do It Again! 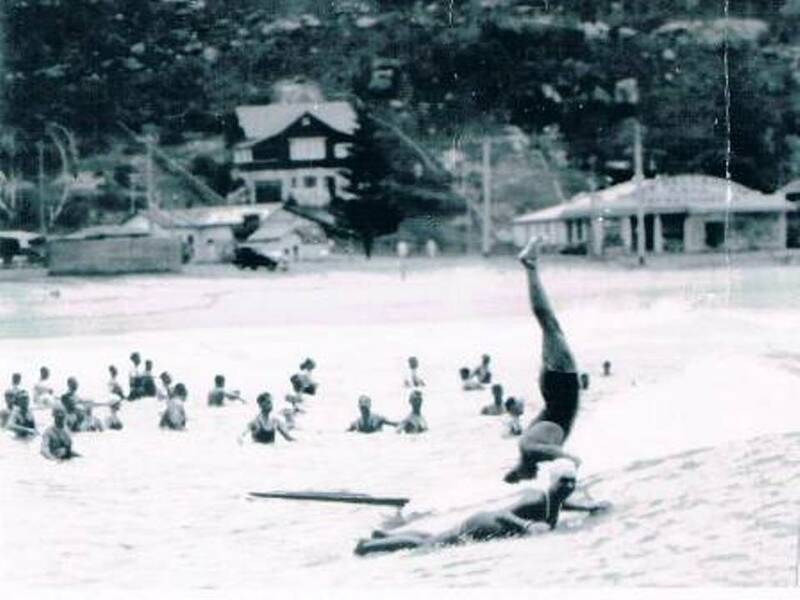 Adriaan grew up surfing at Palm Beach and seeing the likes of Nat Young and Miget Farrelly on the waves. 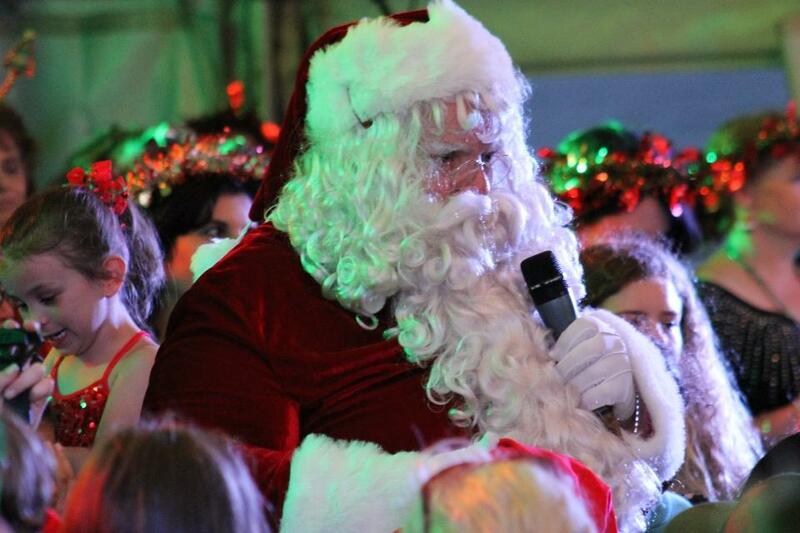 Thousands of people made a spot on the green beside Avalon Beach for their children and themselves to enjoy wonderful traditional Christmas Carols led by the amazing Rock' n Soul Choir. Opening with "Gloria in excelsis Deo" and following this with "Silver Bells", "Hark the Herald Angels Sing", and "Mary's Boy Child", the choir invited every small adult who wanted to onstage to join them for the next, "Silent Night". Then an element of the ".. 'n'Soul" practice was added with a great "Lifting Me Higher", a great old song originally sung by Jackie Wilson in 1967. The and soul part of the Rock' n Soul Choir gave the local audience a chance to hear a few numbers from some male members of the choir this year, The Ryders providing two songs, "I Swear" and, as a tribute t being beside the sea, a number made famous by the Beach Boys, "Barbara Ann". 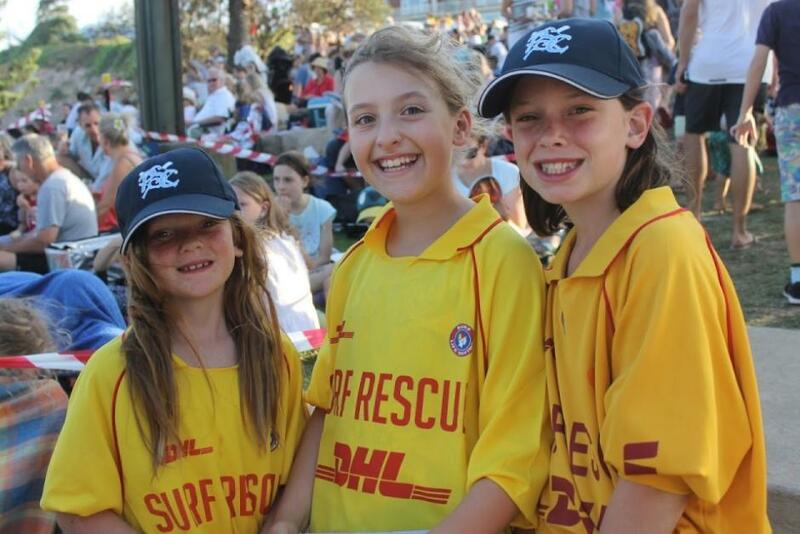 Bilgola Surf Club opened the Pittwater Ocean Swim Series on Sunday 13 December, 2015. The club hosted a 1.5km, as well as a new 800m swim with a large amount of people entering both races despite a chilly start to the morning. 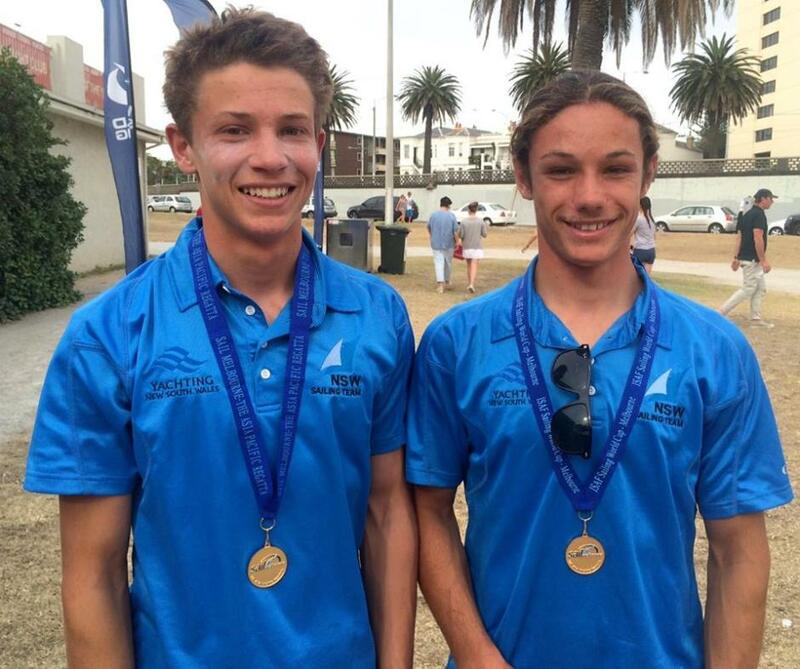 Pittwater sailors, RPAYC Members and Australian Sailing Youth Team crew of Kurt Hansen (NSW) and Jim Colley (NSW) won the 29er at Sailing World Cup Melbourne 2015 Sunday December 13, secured Silver in same division in Sail Sydney 2015, will be representing Australia at Langkawi, Malaysia in ISAF Youth Sailing World Championships (December 27, 2015 - January 3, 2016) - picture by AST. Avalon Sailing Club, Bayview Yacht Racing Association, Royal Prince Alfred Yacht Club and Narrabeen Lakes sailors are part of Sail Sydney 2015 (Thursday 17 to Sunday to 20 December, 2015), part of the annual regatta series that was established in 1994 to serve as a training regatta for the 2000 Sydney Olympic Games. 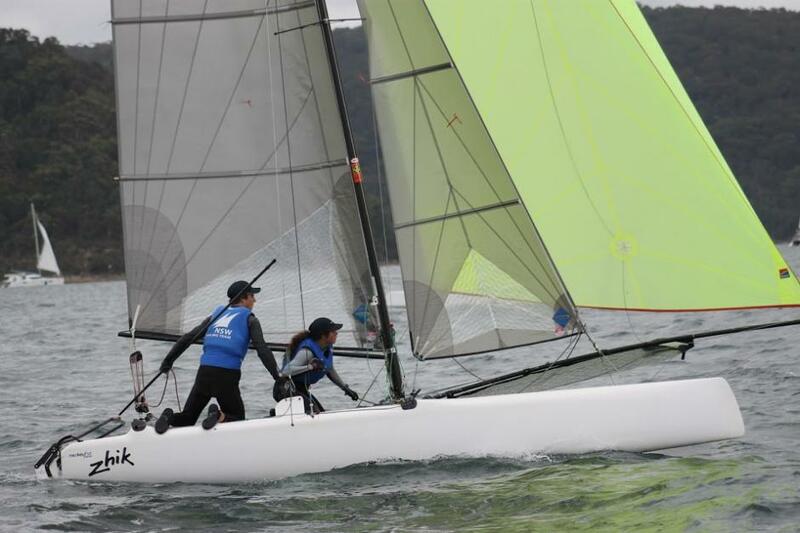 Four Pittwater sailors will then head off as members of the Australian Sailing Youth Team to be part of the ISAF Youth Sailing World Championships (December 27, 2015 - January 3, 2016) in Langkawi, Malaysia. With an international Sail Sydney fleet of more than 400 competitors racing out of Rose Bay there are a multitude of stories worth telling. One of the more high profile is the reunion of 49erFX combination Haylee Outteridge and 2012 London Games silver medallist Nina Curtis fresh from her Nacra 17 Olympic qualification tilt with Darren Bundock. 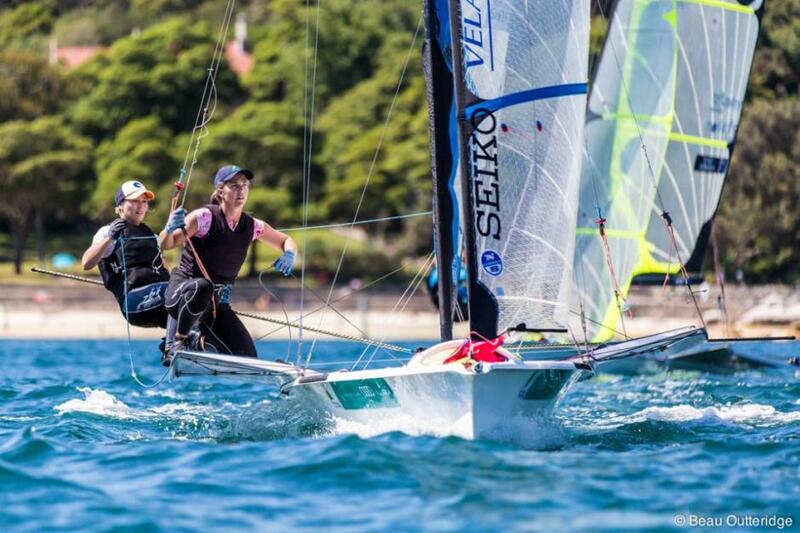 Team selection for Australia’s 49erFX position at the 2016 Rio Olympic Games is still up for grabs. Outteridge and Curtis know the status quo, and they are well aware they’ve left their run late so their immediate focus is on the Australian nationals, North American championships and Sailing World Cup Miami in January, then the skiff class’ world championship in February. When Bundock and Curtis missed out selection to the Australian team she took some time to gather her thoughts before approaching Outteridge, her former sailing partner, who happened to be ready to go with a boat for the worlds. “She was like a coiled spring,” Curtis laughed. It’s been two years since the women paired up in the newest women’s Olympic skiff class and at Sail Sydney Curtis says her execution is coming back faster than anticipated. “Sail Sydney came at a great time for us; to run-through getting around a race course before the nationals at the same venue but without the pressure. Our main goal is a good result at the world championship next February." 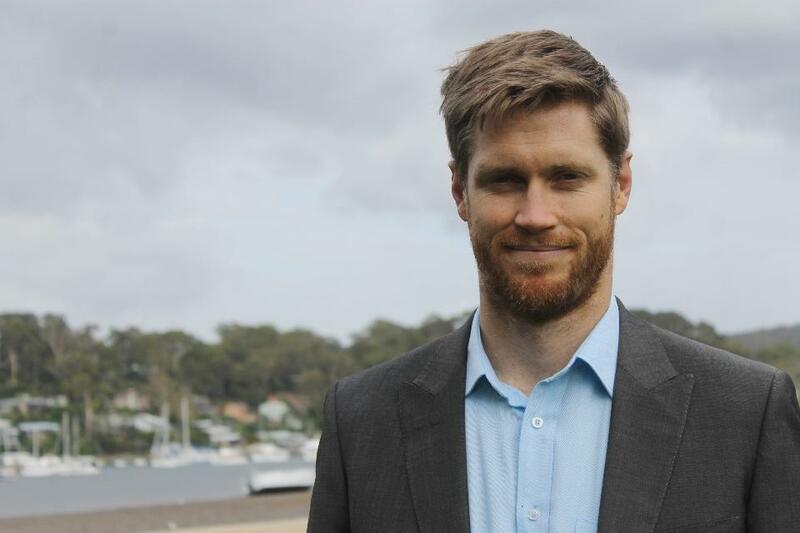 Above: Ben Webb, Manager of the Veterans Centre Sydney Northern Beaches, in the Dee Why RSL, getting a breath of fresh air on Careel Bay foreshores. The Veterans' Centre Sydney Northern Beaches, in Dee Why RSL (level 4), will remain open throughout Christmas and New Years. Ben Webb, Manager of the Centre, recently visited our office to talk about the holistic service available for any veteran and their families. This extends to any individual who has a connection with Australian military life and requires assistance, advice or would simply like a cup of tea and a chat. All of 2015, in every Issue, we've been fortunate and privileged to publish the most wonderful images to show what's happening where and when by great photographers - those who live in Pittwater and are out and about doing their thing. Someone may need to own the company and run the business but this magazine is also owned by Community Spirit - it is all of you who have helped expand, maintain and lift our For, About and By Pittwater. It is your voices, unedited, uninterpreted, that are contributing to a record of and a reflection of a community that cares about each other, their environment, their sports, their children and everyone else they may meet here - people they've known for decades, people they have just met, visitors to our beautiful part of Sydney. This week's Pictorial, the last for 2015, is a reprise of all these photographs By Others - thank you very much for sharing these with those less mobile, those far from home who pop in here to see what the weather's like, and those who were not there at that moment a dolphin raced across your bow near Barrenjoey or a Lorikeet feasted on magnificent Spring Blooms or the boys won the premiership or the children made music for elders or you and your mates planted trees, cleaned rubbish from waterways. You have helped us all....'get the picture'!